For those staying nearby a wind farm, the mighty tall hub with giant fan blades may be your familiar view. 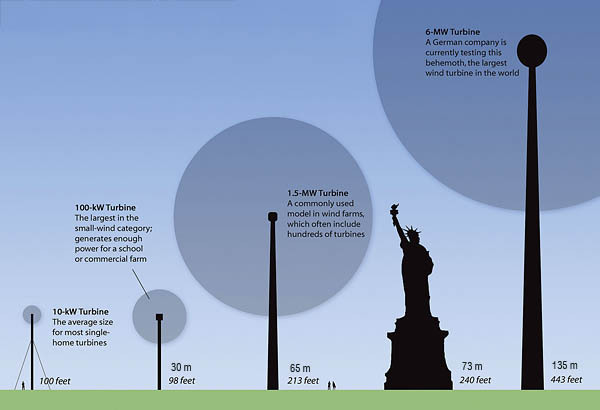 But for the rest of us, here is how to get the hint of how big is a standard 1.5MW - 2MW wind turbine. 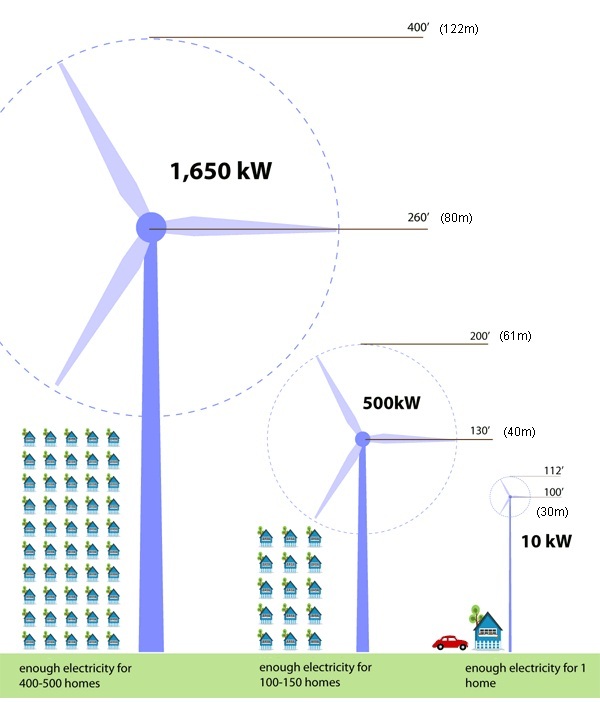 Study shows that that, the larger the turbine is, the greener the electricity, i.e. smaller carbon footprint. This effect was due both to size of the turbine as well as the learning and experience gained with the technology over time. 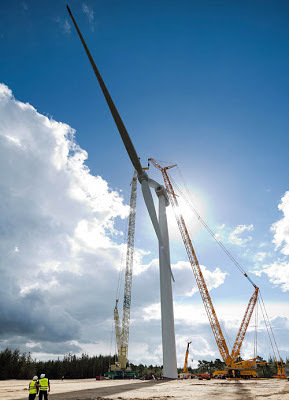 Currently, as at end-2012, the largest wind turbine is Siemens 6 MW (megawatt) SWT-6.0-154 offshore turbine in Denmark. The giants are getting bigger! However, current trend is that wind turbines are getting bigger. In January 2013, British company, Blade Dynamics, announced it was developing blades of up to 100 meters in length dwarfing the size of existing Siemens 75-meter turbine blade. Sitting on top of a tower 170 meters high, the structure will be 270 meters in total. In comparison, KL Tower stands at 421-metre high while Petronas Twin Towers at 452 metres. So, when completed, Blade Dynamics' 270 metres structure is pretty tall. Comparing these turbines with other structures, it is easy to see why many people are protesting against large wind farming due to noise pollution and their unsightliness. Estimated capacity with good wind, i.e. wind blowing within designed range. Researchers say that bigger wind turbines are more cost effective, but there should be limit somewhere when the cost of building the towers are more that the selling price of electricity generated. Let's hope they are not near your home.